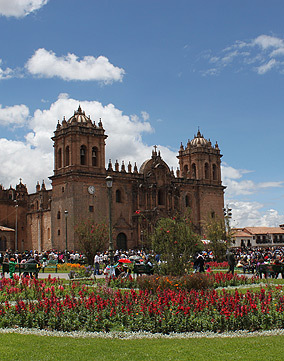 Cusco is a small and lovely city full of local Peruvian flavor and traditions, yet in its own way totally cosmopolitan and full of trendy and bars and restaurants, souvenir shops and cozy cafes. The city is located at 3400 above sea level, high up in the Peruvian Andes and is the gateway to all excursions to the famous Inca ruins Machu Picchu including the Inca Trail. With approx. 300.000 inhabitants it was the capital of the old Inca Empire and only a one hour flight from the Peruvian capital Lima. The city itself is absolutely gorgeous, with its mostly clear blue sky, small cobbled stoned streets, colonial buildings and churches - part of it built on impressive Inca foundations. It is now one of the main travellers hubs of South America and definitely a great choice for those who want to settle down for a while to study Spanish. The Sacred Valley of the Incas. The Inca Ruins nearby Cusco: Tambomachay, Pucapucara, Qenko and Sacsahuaman. San Blas, the bohemian neighborhood. 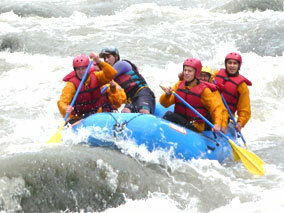 Cusco offers almost endless opportunities for trekking, river rafting, mountain biking, snow climbing, rock climbing, parachuting, delta flying, kayaking, repelling, canoying and fishing. 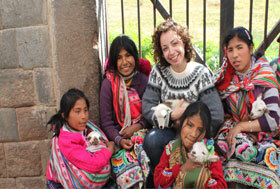 Other well known treks are Ausangate, Valle de Lares and Choquequirow. Try a cup of mate de coca, a glass of pisco sour or a (big) class of chica beer! 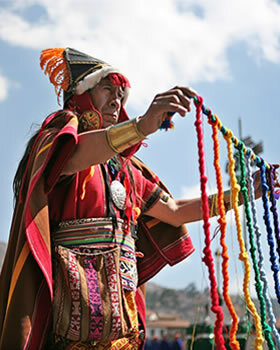 Hire a bike and cylce to the amazing Sacred Valley of the Incas and visit, for instance, the salt Mines in Maras and the amphi theatre in Moray. Visit at least one Artesan market, you do need some typical souvenirs right?